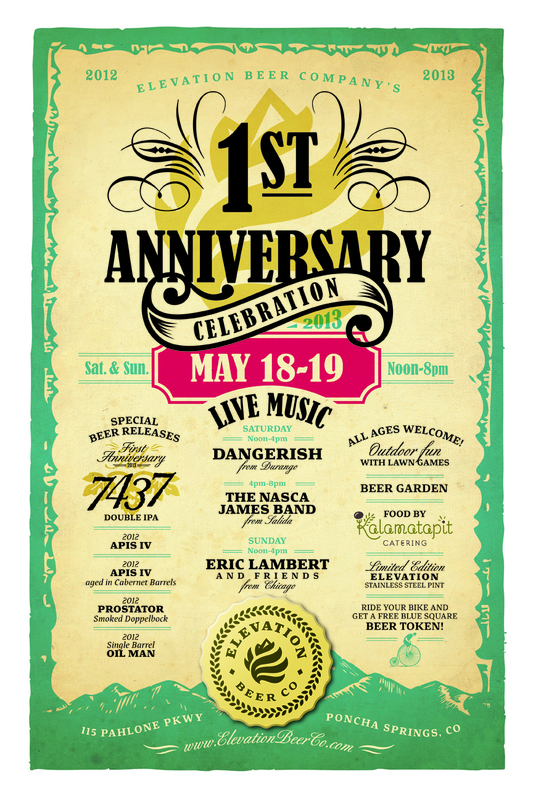 Celebrate Elevation Beer Co.'s 1st Anniversary! Celebrate Elevation Beer Co.’s 1st Anniversary! All Ages Welcome! Outdoor fun with lawn games, Soda, and food by Kalamatapit Catering. Limited Edition outdoor stainless steel pints for sale, and don’t forget to ride your bike and get a free beer token. Thanks to all of our friends, family and fans for supporting us through our first year.